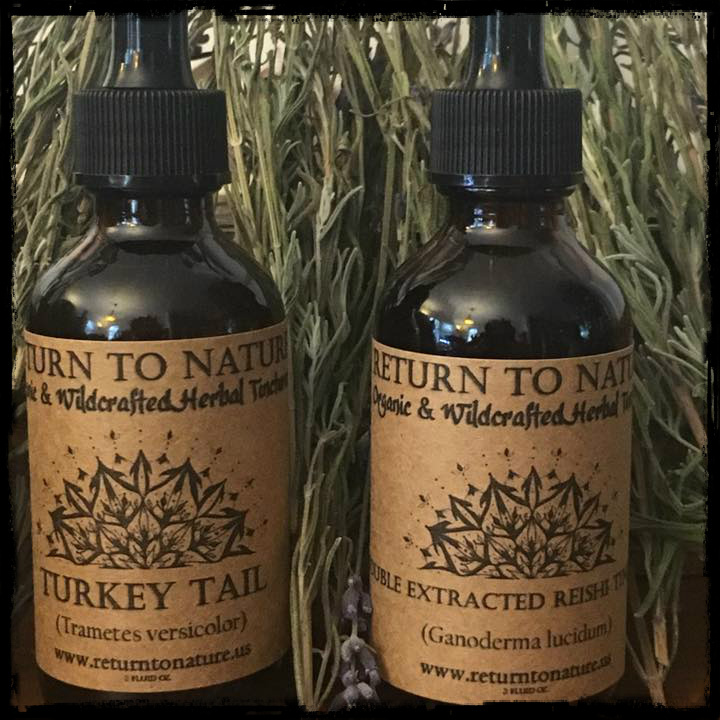 Our magical herbal and mushroom tinctures are carefully crafted with love and healing intent in our apothecary. We work with organically sourced or wildcrafted herbs and mushrooms, extracted in organic alcohol. We would be happy to create a custom formula tailored to your specific needs. Also, contact Dan@returntonature.us for a herbal consultation! *The statements presented on this site have not been evaluated by the Food and Drug Administration. The use of herbs for the prevention or cure of disease has not been approved by the Food and Drug Administration or USDA. The Author, therefore, makes no claims to this effect. The products offered on this website are not intended to diagnose, treat, cure or prevent any disease.